3. Create new PPV option in Subscription section. 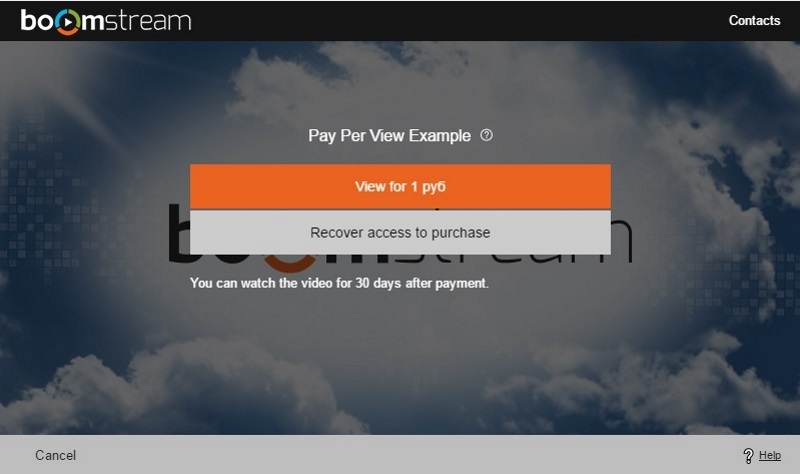 To do that please press “Create pay per view” button, enter name and subscription objectives. Name. It will be shown in customer’s emails and on payment page. Single. After payment User get access to only video included in this subscription. Group. After payment User get access to several videos, included in this group subscription. Period. Period, during which, user has access to paid subscription. Activations. Quantity of possible subscription activations. User could activate player by recovery code in different browsers and devices. User get recovery code by mail after purchasing subscription. Contacts. Contact details are shown in the player. About. Description of your subscription, will be shown on payment page. Attention! If you want to sell video/live broadcasting, you have to put check mark - Allow the sale of video. 6. Example of PPV video. 7. 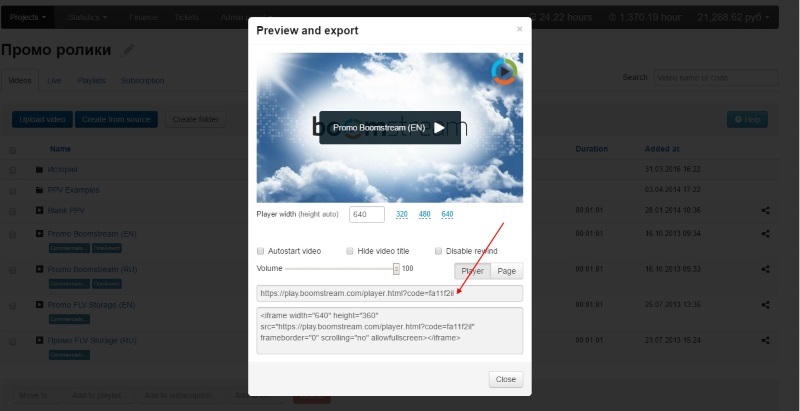 Clicking on video name, you can edit list of videos and check purchase statistics. 9. Add customers manually, change objectives of purchase and check recovery codes sessions.